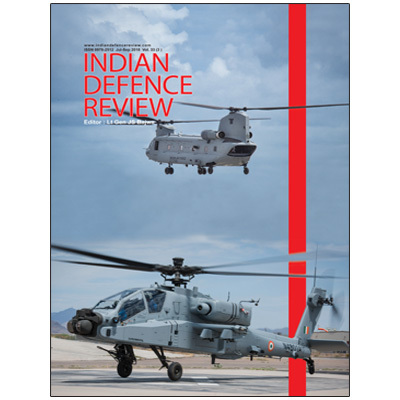 "Kaoboys of R&AW gives a good high-level overview of the formation, evolution, and current status of the Indian intelligence services." "It is a brilliant piece of writing, and it is easy to come to admire its author. This kind of book is almost inconceivable in the United States or Europe. We will just not see this open endorsement of scrutiny of a spy agency and its activities." "Highly respected for his integrity and competence, he writes with serious purpose, which compels respect even if one disagrees with his political assessments." "What is most interesting about this book, especially from the viewpoint of people who have an instinctive suspicion of intelligence agencies, is the openness with which the author discusses certain issues and the positions he takes on them." "It has an extremely good flow and is non-put-downable." "The book is replete with material that should force a re-assessment of the operations of intelligence services by our policy-makers and political leaders. Whether that will happen is difficult to tell. While many would like to see the deficiencies noted in the book disappear, still others would merely like to see them disappear from the public discourse. Raman's anguish, so evident in the book, appears partly the despair of one who holds very little hope that things will change, even while arguing that much is needed.?" "It is a pity that we are yet to imbibe the culture of recording intelligence operations for posterity." "While the CIA was assisting R&AW against China, it was aiding Pakistan against India to ensure that where was no further division of Pakistan; R&AW was getting some cooperation from the French SDECE but it did not prevent the French from running a mole in India's PMO; R&AW was working with the Soviet KGB and the Afghan KHAD and at the same time it had links with the Israeli Mossad. R&AW had a liaison with the Chinese MSS (Ministry of State Security) too." "The book can appropriately be described as an insider's account of the functioning of the R & AW during 1968-1994...Raman's book is a timely and valuable contribution which deserves the attention of decision makers at the high levels of the government ." "Three things make this book remarkable, candour and honesty, fair judgement, and moral courage...The book is a tribute to RN Kao, ...But it is much more than that. It is a mirror of how we excelled and faltered as a nation and the role played by the R&AW in it. And it is worth reading for this single reason." "The book underlines the fact that an emerging power aspiring to take its place by 2020 among the leading powers of the world has to have an external intelligence agency with the ability "to see, hear, smell and feel far and near". Such an agency has to have the ability to operate imaginatively and daringly, analyse lucidly, anticipate unfailingly and manage unanticipated crises effectively. Above all the agency should have the courage to tell the truth as it needs to be told without worrying about the consequences." "Flushed with a discretionary fund of some Rs 1,500 crore, RAW has been conferred spectacular operational freedom. But as former RAW operative B Raman has revealed in The Kaoboys of R&AW, most of these privileges have been flagrantly , sometimes criminally, misused." "Raman's book could not have come at a better time�Raman's book is candid in many respects. He says the R and AW has only partly fulfilled the purposes for which it was set up by Indira Gandhi and Kao." "...they have also printed it - gadzooks - on art paper! Ever heard of such a thing?" " A very honest book!" " A stinging critique of India's most exclusive private club by an ex-high priest...Once you are able to look beyond the masala stuff that is de rigueur for any book by a spymaster, there is a very dark and daunting message. And its in black and white." The book conveys a sense of the Intelligence world as it really is mostly shades of gray, instead of black and white. There are two ways to look at this book. One is to pick up a few �scoopy' details and highlight them, the other is to look at it as a textbook and learn from "memory lane" about intelligence collection and analysis and even covert operations. "...insider account of the rot within are always a good read." "Raman is fair to the legacy � he was himself a Kaoboy � and chronicles both the achievements and failures of RAW in a reasonably objective manner." "Raman's work is exceptional because for the first time we get an insider's analysis of the success and failures of the secretive Indian external intelligence agency�Raman's book, apart from being full of juicy stories will remain a textbook for those interested to study and understand the first years of India's external intelligence agency." "A startling glimpse into the working of India's External Intelligence Agency." "B. Raman's book on RAW is peppered with stunning, and sometimes amusing, anecdotes." This book deals largely with those aspects of the working of the R&AW of which the author had personal knowledge while serving in the organization for 26 years. The book traverses through India's contemporary history- importantly the 71 war; insurgency in the Northeast, Punjab and Kashmir; the Emergency; the war in Afghanistan and the intelligence imperatives and dispensation under Indira Gandhi, Morarji Desai, Rajiv Gandhi, VP Singh, Chandra Shekhar and Narasimha Rao. Written with the purpose that a knowledge of the role played by R&AW in those events would possibly enable a better understanding of its strengths and weaknesses, it painstakingly avoids over-statements, exaggerations and spins. The organization has been given credit where it is due. And it has been criticized where such criticism was warranted. Known for his candor, the author provides rare insights into the functioning of R&AW. This book is objective in its commentary and assessment. A prolific writer like Raman waited for 13 years after he retired from R&AW in 1994 to come out with an insightful book. In India, retired intelligence officers have written books on general aspects of intelligence and security. However, there has been a reluctance to write on the functioning of our intelligence agencies by its retired officers. Such reluctance was there even in other countries till the early 1960s. This has since disappeared. The public in general and the research scholars in particular have benefited from such writings. This book seeks to break the reluctance in India in public interest, so that the nation as a whole may benefit from a well-informed debate. Kaoboys of the R&AW, first attempt by an insider, who belonged to the permanent cadre since inception of R&AW and was not merely a bird of passage, hopefully, would encourage others to share their experience and insights with the public and research scholars. B Raman is also author of A Terrorist State as a Frontline Ally, INTELLIGENCE, PAST, PRESENT & FUTURE, Mumbai 26/11: A Day of Infamy and Terrorism: Yesterday, Today and Tomorrow. This product was added to our catalog on Tuesday 24 July, 2007. Raman spoke with his readers honestly and mindly clear. ..